Botanic Gardens Restaurant based in Adelaide, offers modern Australian menu and a spectacular 180 degree views of the gardens and pond within a tranquil setting. 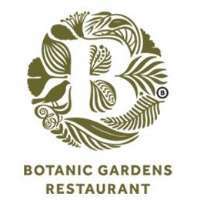 Botanic Gardens Restaurant based in Adelaide, offers modern Australian menu, featuring ethically farmed South Australian produce, fresh vegetables and herbs harvested daily from the nearby Botanic Gardens kitchen garden. Botanic Gardens Restaurant also offers spectacular 180-degree views of the gardens and pond within a tranquil botanical setting. An innovative beverage list of local, national and international wines, beers and botanical inspired cocktails and knowledgeable wait staff complete the whole dining experience. For reservations, call Botanic Gardens Restaurant today!